I kind of like the way this component plays. I mean free…who can complain. Metaudio component for Joomla 3 was displaying the file names as the playlist items. Just the way I wanted them. But the other playlist was listing track 01 and such. 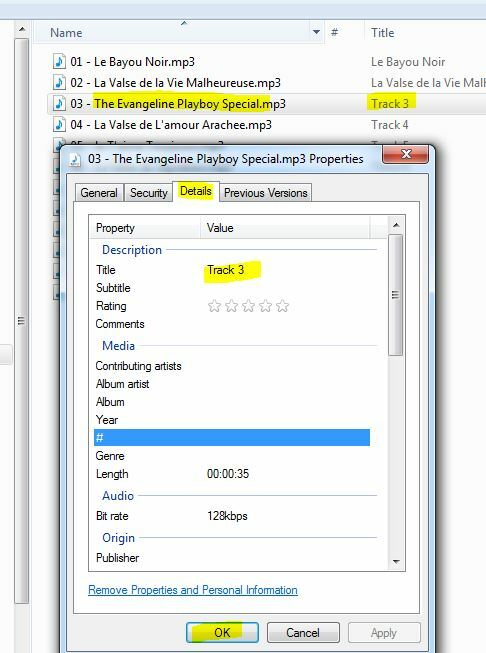 The audio files in both playlist directories had the song names as the file names. Right-click on the audio file in question, select properties and click on the Details tab. Here you can change the name. Open the playlist back up in your joomla site and all will be good. 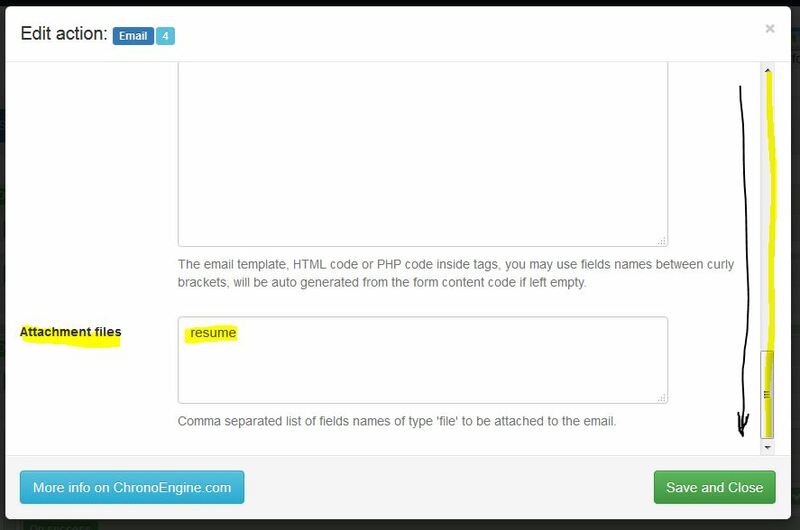 I recently discover how to use this awesome feature in Chronoforms version 5. In the Email Action >> Basic (tab) >> all the way at the bottom below “email template”. There is a field called “Attachment files”. Here you put the name of the uploader field. Today I was struggling with a Joomla 3.5.1 site and reusing the Protostar template. I added a slide show component and BM Cool Menu module. The sub-menu items were showing behind the slide show. I changed the z-indexes, but that wasn’t enough. Besides the z-indexes I needed to add “position: relative;” to each div’s style and it got it all working perfectly. Joomla 3.5 site attack – PayPal.zip, pl, php, vu.txt files found in Images directory. I had to upload a file to a customers Godaddy hosted account and discovered a bunch of unusual files. Below is an example of a directory in the images folder. On the right there was a folder called “login”. In that folder was a complete site for accepting credit cards. I have spent any time figuring out exactly is going on. The files were also right in the root directory of the site. 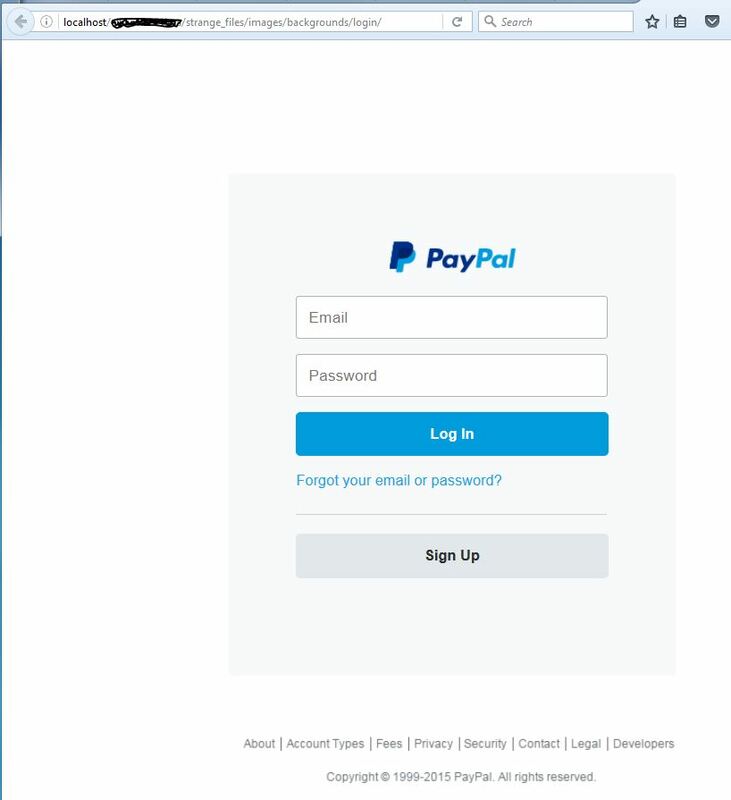 When I navigate to the login folder within WAMP it is a fake PayPal login page. In site the “vu.txt” file was the following. So many web clients use Facebook and some of them do it really well. I found this site that helped me quickly added an album to the site. 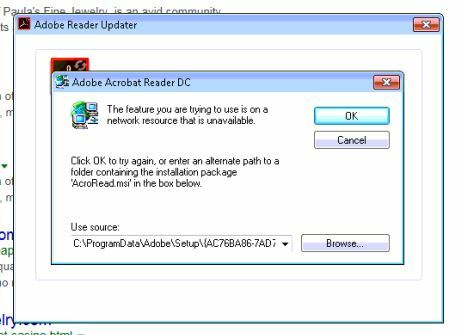 Unable to open PDF – Acrobat won’t reinstall or uninstall. Had a customer call in because she was unable to open PDF’s since a Windows 10 Roll Back. Here are the steps I tried but I would always get the same error around 90% of the reinstall. The link below is how I got this fixed. I needed to use Pantone color swatches and the following link really helped me. I came across this site today and found a lot of free extensions. I recently purchased a template for joomla site that uses fontAwesome. It was wonderful. Below is link to see how it works and to downloaded it. JCE ( Joomla Content Editor ) – Would change the <i> to <em> when I saved the module. Below is an article on how to fix that. TinyMCE Editor – I couldn’t see any source code.I have found if I switch the default Joomla editor to “codemirror” I can see everything in the source code in order to edit it. In the administrative area go to Global Configuration >> Default Editor >> Editor – CodeMirror.